Sakura is a girl from the country Kino visited in the last episode of the anime series. 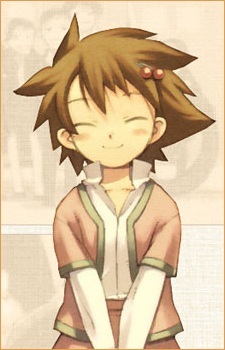 She shares many similarities to Kino, such as her parents also owning an inn. In the first English version of the anime series, her name is changed to Lily in order to preserve the explanation that her name, pronounced slightly differently, becomes an insult. The children call her "Silly Willy" instead of "mekura" (meaning "ignorant") and "dokura" (meaning "poison") in this version.